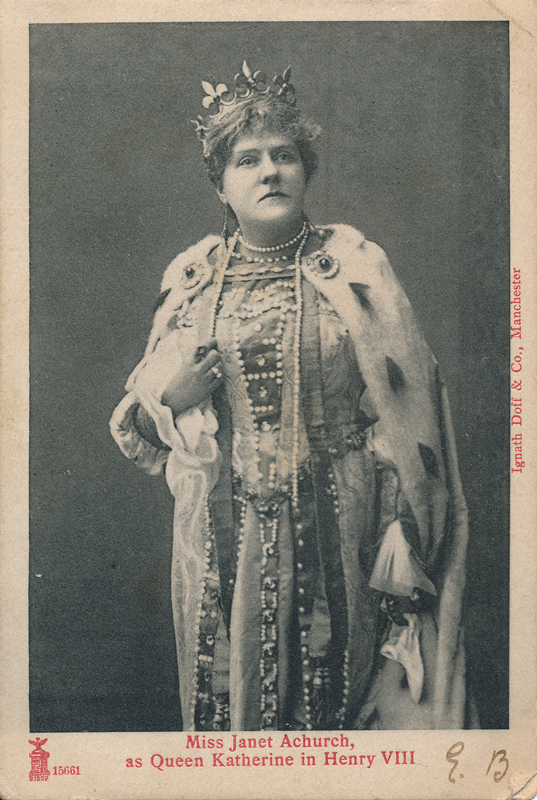 Janet Achurch, born into a theatrical family in 1864, made her professional debut in 1883 and the next year in 1884 joined the company of Frank Benson. There she of course had opportunity to play many Shakespeare roles, including Desdemona, Gertrude, and Lady Macbeth. It was over a decade later that she again played Shakespeare as Cleopatra in 1897 at the Queen’s Theatre, Manchester. In 1898 she played Lady Macbeth at the same theater. Her last role in Shakespeare came in 1903 when she played Queen Katherine in Henry VIII. Janet Achurch’s obituary appears in The London Times, Friday, September 15, 1916; pg. 9.